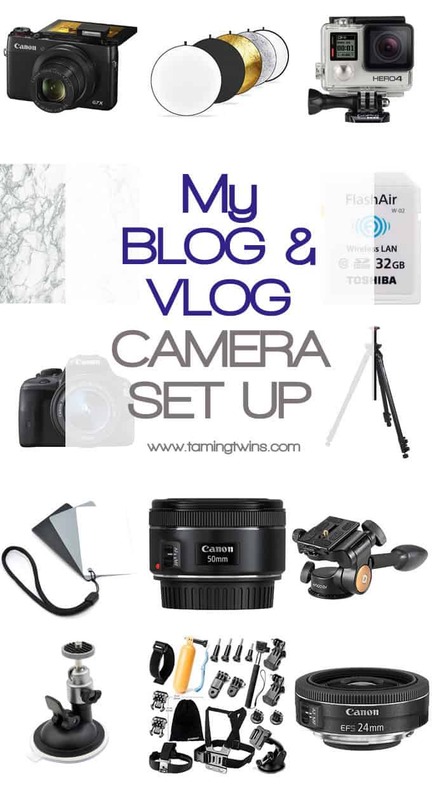 My vlogging and blogging camera set up, all of my essential and favourite camera kit for photos and video making, including how to get the perfect white balance, helping with pesky shadows, my marble photo backdrop and a tripod for overhead video shots. I made a video on YouTube recently about my blogging journey, how I started, how I ended up making it my full time job and lots of other shizz in between. One of the biggest questions people got in touch and asked after that video, was about my camera set up specifics. What is the best blogging camera? Which is the best vlogging camera? Which tripod to use for overhead videos? I definitely don’t have all of the answers, and a lot of what I use is because it was in budget and within the skills I have, but all of this is working for me right now and I don’t have any plans to change. So, without further ado, here’s the vlogging and blogging camera equipment I use every day. I recently upgraded to this blogging camera from my Lumix GF5 (with an amazing 20mm Pancake Lens) which I had love, love, loved. Honestly, I ummed and ahhed about which new blogging camera to buy for a long time. In the end it came down to the fact that I am planning on buying a new MacBook Pro and so I didn’t want to spend a fortune right now on a new camera and lenses.Also, I am a great believer in the fact that it’s the photographer and the stylist (both me in this case of course!) that make a great photo, not the camera. I think I have loads of other skills I can improve on over the coming year before an amazing, all singing all dancing new camera costing thousands of pounds will make a massive difference. So! I decided on this blogging camera as I could afford two brilliant lenses to go with it, it’s small enough to still carry around with me on trips and out and about, and it has a touch screen control and focus which I really liked from my Lumix.Overall I’m really happy with the camera so far, I need to spend some more time getting to know it better, but I’m sure I’ve made the right choice to buy something affordable. This lens has been a real change for me from the Lumix 20mm lens. It’s brilliant for food photos and close shots of the children (if I can get them to stay still). I’ve still got heaps to learn with it, but I’m really pleased with some of the tight shots I’ve been learning to take with this. 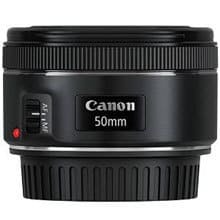 This is my go to lens for wider angle shots. For taking photos of the children on the move, for travel, for overhead shots and for landscapes. 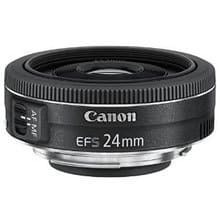 It’s really easy to use and great for taking out, because it’s a pancake (very slim) lens. 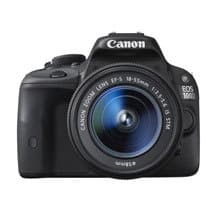 If you’re vlogging, or planning on vlogging, out and about, this camera is a brilliant investment. It’s not the best sound quality BUT it’s so convenient for taking out, it’s a brilliant all round choice. It’s light, easy to carry, discreet, and the flip up screen is a game changer.I actually use this to make all of my videos, even the ones at home. 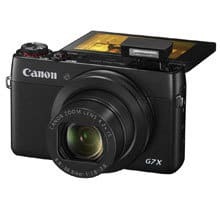 Although the sound quality would be better on a different camera, this is just so easy to use.It’s also the vlogging camera used by Zoella, Sprinkle of Glitter and Hannah Maggs et al, can’t be bad ‘eh? This nifty little gadget is what I use for vlogging in the car. I can clip on the camera, and chat away whilst driving without doing anything remotely dangerous. No camera faffing required. A really useful little piece of kit. If you’re trying to improve your photography, white balance is the first thing to get right. 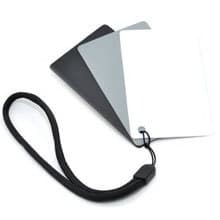 There’s a million online tutorials about it (I might even write one myself one day) but these little cards are the first step.You pop one into your photo set up, take a photo before you take the actual shots, then use that photo to edit all of the others to have the correct shade of white, taadaa! Guesswork gone. 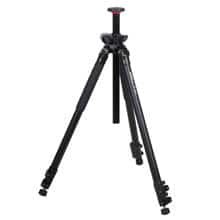 Now, minor disclaimer here, this is definitely not the best tripod in the world. However, it was the only tripod I could find to do overhead shots that wasn’t over £100. It’s fine, it serves it’s purpose and it’s good value. Is it smooth and well made and a joy to use? Umm, nope. BUT If you’re just starting out with overhead video or photos, it’s a good value buy. 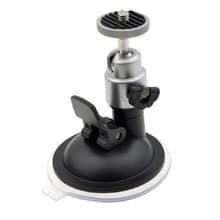 If you buy the tripod above, you need to buy a moveable head for it. Again, all of the tripod points above apply to this too. It’s fine, not amazing, but was within my limited tripod budget, so is a good buy for starting out. Oh hello bright, unshadowy photos! A great first tool for getting more (or less) light into your photos. If you’re starting out on improving your photos, this is a brilliant thing to experiment with. 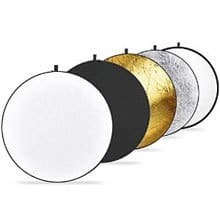 This different effects these reflectors can give are so useful, although I admit that I mostly do end up using the white one. I invested in this when it was on special offer last Christmas, to go skiing and it is SO much fun. If you’re planning on filming any kind of adventure, holiday, sporty or outdoors action they really are as good as everyone says they are.It’s a bit confusing at first to not have a viewing screen on the back of the camera, but you soon get used to it. I’m super excited to test it out for some underwater shots on our Mark Warner trip this month. 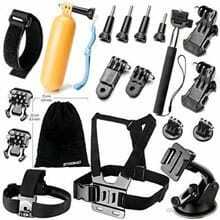 There are heaps of official GoPro accessories, but I’ve plumped for this cheaper, generic set. I’m not sure I’d trust a non-branded waterproof case, but these straps and so on have been pretty good. We used them when skiing earlier this year and they were great value for money.A must buy for your GoPro. 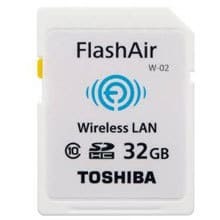 This nifty little SD card is such a clever idea for using with a camera that doesn’t have WiFi built in, (like the Canon EOS 100D or the Lumix GF5. You use the card as normal to take photos in the camera, then if you want to get them onto your phone whilst you’re out and about, you can just connect an app to the card and download them.Brilliant for travel, when you don’t have your computer with you, but want to use some of your photos on social media. 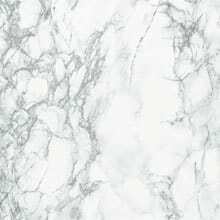 Last but not least, lots of people have asked about the marble backdrop I’ve been using a bit recently. It’s just a vinyl sheet, stuck to a big board. Cheap and effective.I think I’ll make another post another day about backdrops, as they are so important in so many photo set ups, and easy to forget. Sorry, that was a longer list than I realised! It’s funny how the stuff you need just grows over time isn’t it? I hope that was useful. What’s your photography must buy? Anything you can’t do without? 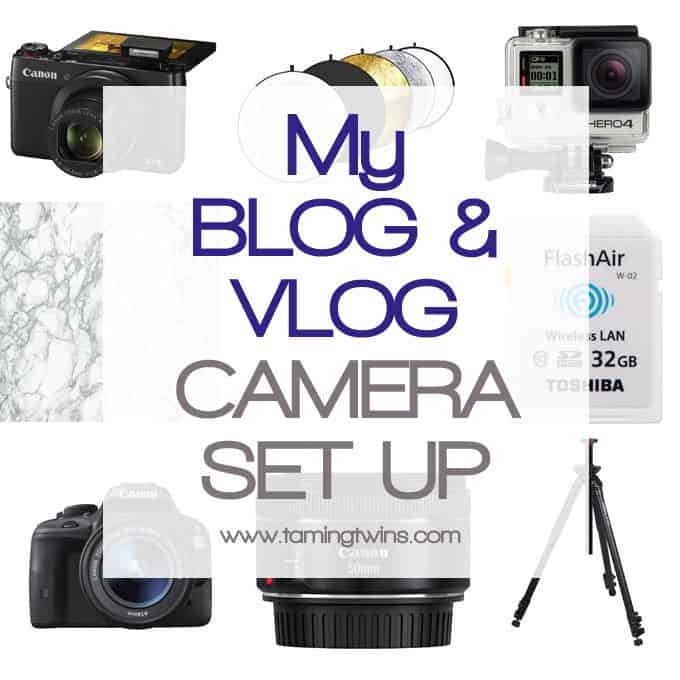 Pin my Vlogging and Blogging Camera Set Up for later..
Disclosure: This post contains affiliate links, that means, that if you click through and buy using one of the links, I get receive a very small commission, at no cost to you. I would never, ever recommend something I didn’t genuinely love. Thanks for your support. This was really helpful to read thank you Sarah. I’ve been blogging and vlogging for a few years now, but it’s always useful to hear about what others are using. We bought a GoPro recently and I’m excited to start using it! this is really helpful, thanks. I was trying to figure out what I could do for different backgrounds, so this will help alot! I spend a lot of time pondering backgrounds too! This is really useful. 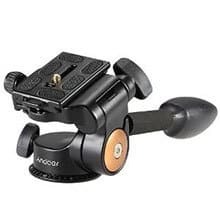 I remember a while ago looking for a tripod that had a horizontal arm for overhead shots and had also concluded that there was nothing under £100 around. A great guide! I personal use an external microphone to improve the quality of my vlogs, could be an interesting addition to this article to discuss this.